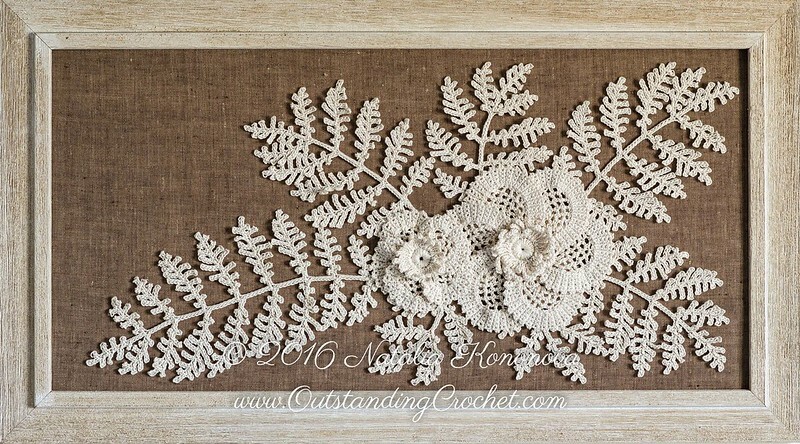 Outstanding Crochet: Irish Crochet Motifs Pattern - Poppy Flower and Fern -Fiber art to frame - New pattern in the shops. 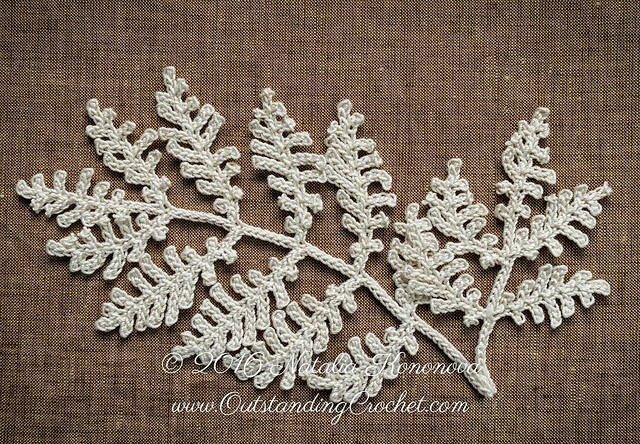 Irish Crochet Motifs Pattern - Poppy Flower and Fern -Fiber art to frame - New pattern in the shops. I believe some crochet should be just framed and hung as art, not worn. This composition looks beautiful in my hallway. 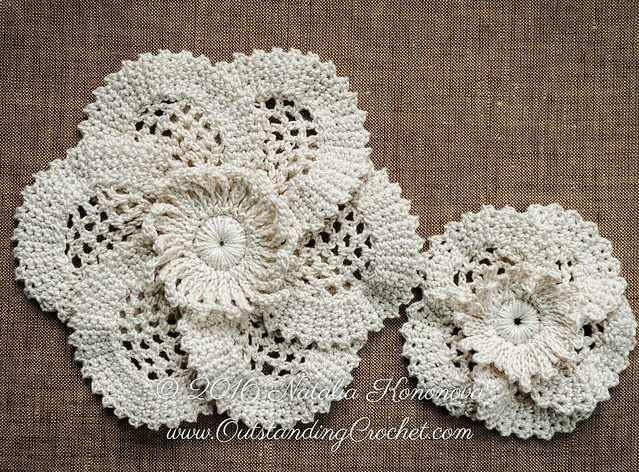 Frame these beautiful Irish Crochet motifs to decorate your home. Follow written instructions and charts. - 1 ball of cotton crochet thread size10 in ecru; shown here – Aunt Lidia's crochet thread Classic 10 (3 ply 100% mercerized cotton thread, 400yd/365.75m) in ecru. - Tapestry needle for weaving in ends, 7 mm diameter pencil for button. - To frame: frame, background fabric, starch spray, fabric glue, pins, matching ecru color sewing thread, hand-sewing needle. -Bigger flower is 5'' (12 cm), smaller flower is 3'' (7.5 cm) in diameter. - Fern branch, described in the instructions is about 6 ¾'' (17 cm) long. - Composition is 18 ¼'' x 9'' (46.5 x 22.5 cm). - Gauge is not important for this project. - Flowers and their centers are made separately; centers are stitched on after composition is arranged. Beautiful! I agree, this is art! Jakie piękności.Nie widziałam jeszcze nigdzie gałązek paproci i te kwiaty cudo!! !.Miłego dnia. Pozdrawiam. Concordo com você é uma obra de arte. Боже, какая красота! Наташа-просто убила. Браво!